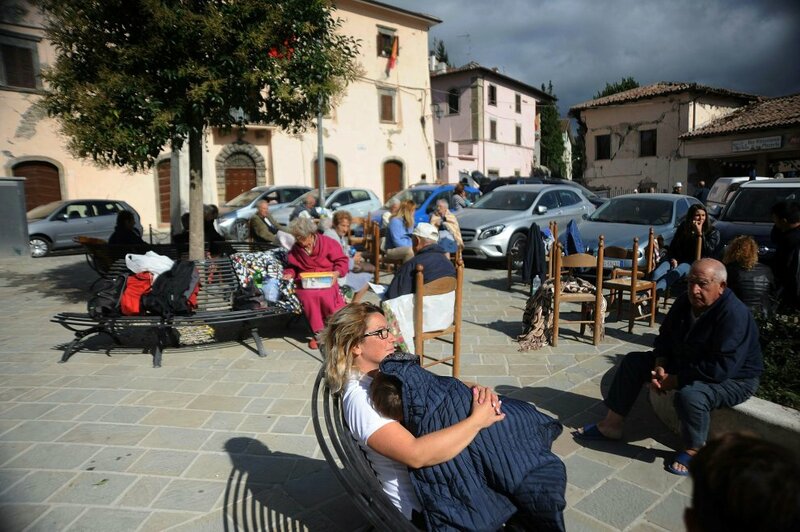 A major earthquake has devastated several villages in the mountainous area between Monti Sibillini and Gran Sasso, where the regions of Lazio, Umbria, and Marche meet. As we send good thoughts and prayers to the victims of this disaster, it’s time to consider the importance of community and mutual support. 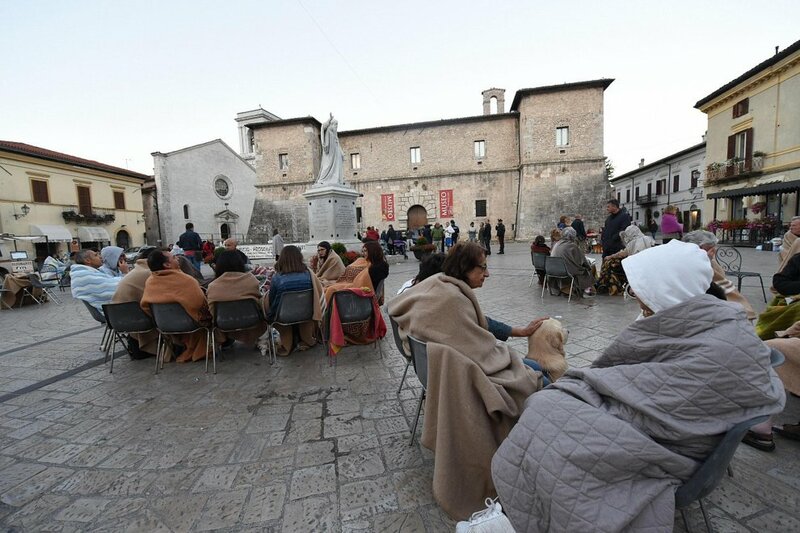 The many photographs of victims attempting to reconstitute the warmth of community in this time of crisis in the piazzas and other places speaks loudly of the need we all have for each other. Especially moving is a video of a girl being saved from the ruins of a building. May this tragic experience lead to a greater respect for the sacredness of human relationships and for better living conditions in the future. Below is a message from the National Italian American Foundation for those of us able to provide support. ” As many, if not all of you know, yesterday morning a large part of central Italy was struck by a devastating earthquake. This tragic disaster has claimed the lives of hundreds of people, and words cannot convey the deep loss that has affected so many of us. Our hearts and prayers are with them and the rescue workers who are frantically trying to save the remaining victims trapped under the rubble. Please help the National Italian American Foundation, and our partners throughout the Italian American community to raise funds for our Italian family. To help in ANY amount, please visit www.ItalianAmericanRelief.org. Every last penny of your generous donations WILL be put towards the relief efforts in Italy. In the short 24 hours since the earthquake, NIAF staff has been working fervently around the clock. We are in contact with local authorities as well as the Embassy of Italy to finalize the details of the relief fund, and as soon as we have any updates as to the specific project we will be funding, we will share them on our website and social media. Our Italian American community can do a great deal of good in the coming days and weeks, and we hope you will be a part of this effort.